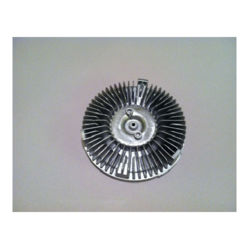 We are the leading manufacturers and suppliers of Heat Sink Pressure Die Casting. We manufacture Elbow Gravity Die Casting for automotive i.e. 2 Wheeler, 4 Wheeler, Trucks, Lighting, Petroleum Industry. 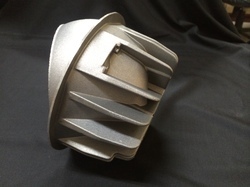 We manufacture Bottom Housing Pressure Die Castings for automotive i.e. 2 Wheeler, 4 Wheeler, Trucks, Lighting, Petroleum Industry. We are the leading manufacturers and suppliers of Lighting Enclosure And Housing. With our infinite experience in quality product making, we are offering Pressure Die Casting For CNC Machine Components. Designed by highly skillful professional and made in sophisticated manufacturing unit, these pressure die castings are available in two categories: high pressure die casting and low pressure die to cast. 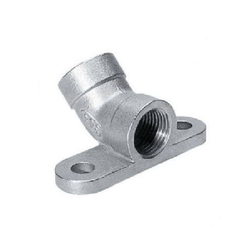 Manufactured using quality raw materials, these castings are high in demand. Industry-leading packing and pricing are the advantages enjoyed by our customers. 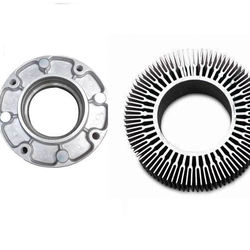 We manufacture Heat Sinks Die Castings for automotive i.e. 2 Wheeler, 4 Wheeler, Trucks, Lighting, Petroleum Industry. We are manufacture Bend Diffuser Gravity Die Casting for automotive ie 2 Wheeler, 4 Wheeler, Trucks, Lighting, Petroleum Industry. We manufacture Automotive Pressure Die Castings for automotive ie 2 Wheeler, 4 Wheeler, Trucks, Lighting, Petroleum Industry. “Impression Auto Components Private Limited,” is a well established and leading name in the field of manufacturing of Aluminium Pressure Die Castings, Aluminium Gravity Die Cast Parts , Automotive Machining Parts , Pressure Die Casting For Aluminium and much more. it is presently successfully catering to the demands of petrolium sector, Automobile sector and Electrical industry. Operating from its base at Pune, Maharashtra, India, the company has with it rich industry experience of over one and half decade that allows it to successfully understand as well as match up with the order requirements as placed by the customers. Some of the leading brand names it is presently serving include Ford, Hyundai, Mahindra, Renault, Tata Motors, Endurance Technologies. Today, the consistent performance delivered and customer centric policies followed by “IACPL” have helped it to gain trust and respect of the market. Further, the use of latest engineering technology and process equipment in the involved production operations also ensure the end solutions delivered are of best quality and perfectly match up with the specifications. Some of the key customers it is presently serving include Gabriel India Limited, Pune, Maharashtra; Behr India Limited, Pune, Maharashtra; Flash Electronics Private Limited, Pune, Maharashtra.